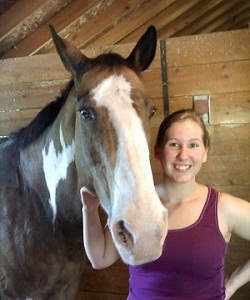 Katie joined the Pembroke Animal Hospital team in 2010. She completed school and became a Certified Veterinary Technician in the summer of 2012. 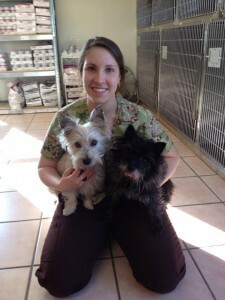 She shares her time with her husband, 2 cats and 2 cairn terriers. In her free time she likes hiking, horseback riding, and enjoying nice weather with her dogs. 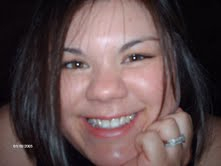 Shay started at Pembroke Animal Hospital in August of 2006 as a patient care technician. She began working as a veterinary technician in 2009. It is her passion to help sick animals feel better - it's the best feeling in the world. She loves that she can help patients feel more comfortable and safe, even during routine examinations and vaccines. 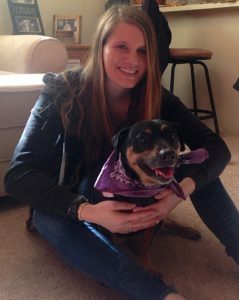 She shares her home with her husband, Travis, and two rescued dogs - Kenzie and Loki. Katelyn has always loved animals and has been working with them for about 5 years. She loves helping animals and being able to see them every day at work! Riding horses is her passion, although she does not have any of her own (yet). She does have two dogs and 7 wonderful kitties. Jenn has worked at PAH for more than 8 years. She lives on a beautiful 11 acres with dogs, cats, chickens, and guinea pigs. Currently Jenn has six dogs - Roscoe, Bindi, Mayo, Natalie, Saucy, and Ebony, and six cats - Bubs, Floyd, Leopold, Moxie, Raja Panda, and Sybil. All her pets are rescues, many of the dogs were adopted from Libby's Haven for Senior Canines where she also volunteers. Jenn studied environmental conservation at UNH. She enjoys music, hiking, gardening, reading, and spending time outdoors with her human and furry family. 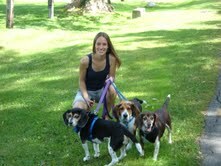 Crystal has been working at Pembroke Animal Hospital since 2002. She shares her life with her 2 lovable pitbulls, Peanut and Sully. She also has Buddy a German Shorthair Pointer. She enjoys camping and being outside. Emily graduated with a B.S. in Zoology from UNH in 2013, then interned at the Center for Wildlife in Cape Neddick, ME, where she cared for injured and sick wild animals. She most recently worked as a pet care attendant and vet technician at an animal hospital in Massachusetts, and is very happy to join the Pembroke Animal Hospital team! She currently lives in Manchester with her spouse and Dachshund/Jack Russell mix “Maya”, as well as two turtles (“Popeye” and “Olive Oyl”) and a tortoise (“Chelone”).